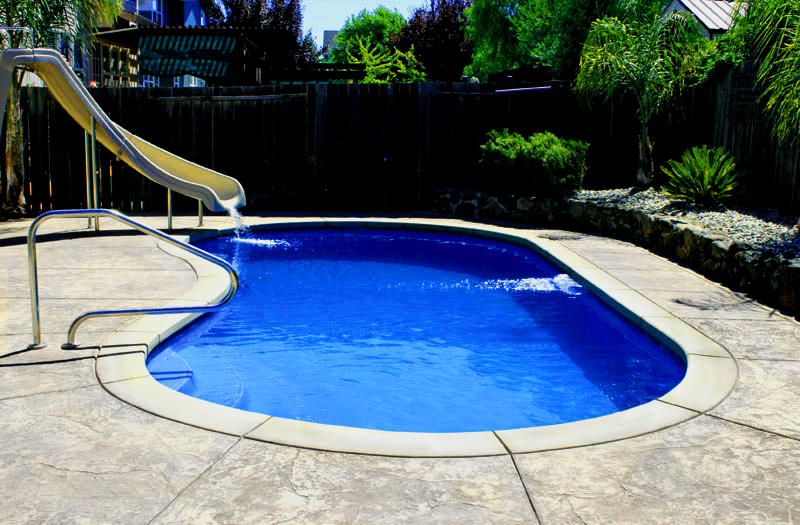 Newcastle 28 - 14' x 28' x 3'7" - 5'8"
St. Augustine model is a medium size pool and is fiberglass one piece prefabricated construction with core design following the Kidney style. 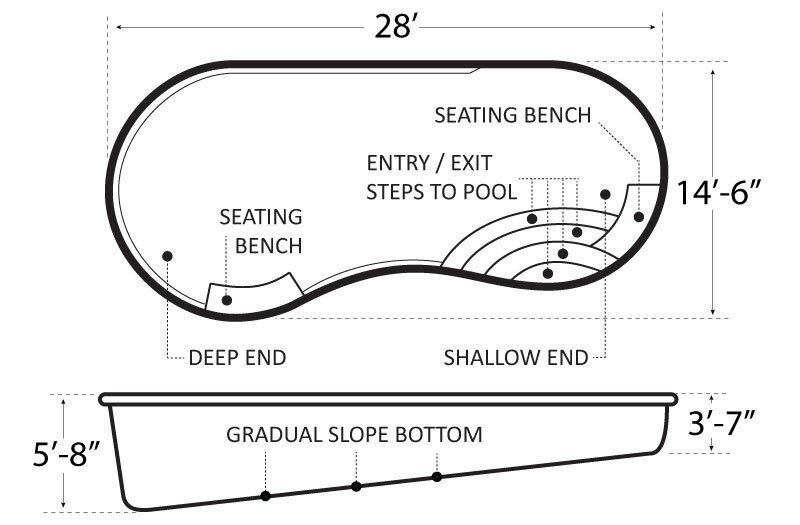 St. Augustine pool model is the modern version of the Bean shape pool with shallow end a bit narrower as deep end of the pool. 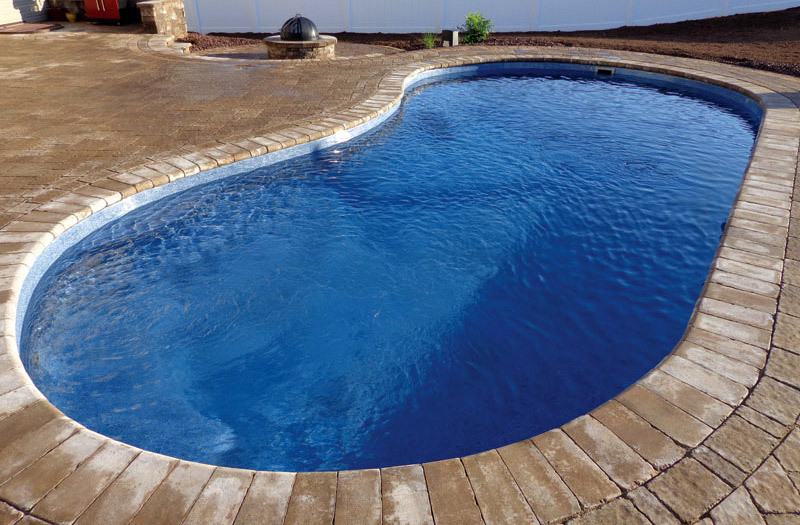 St. Augustine pool shape historically based on 1948 design by architect Thomas Church, who first invented the kidney-shaped pool and this design has become a traditional design and is widely selected by customers for its soft island-like appearance.